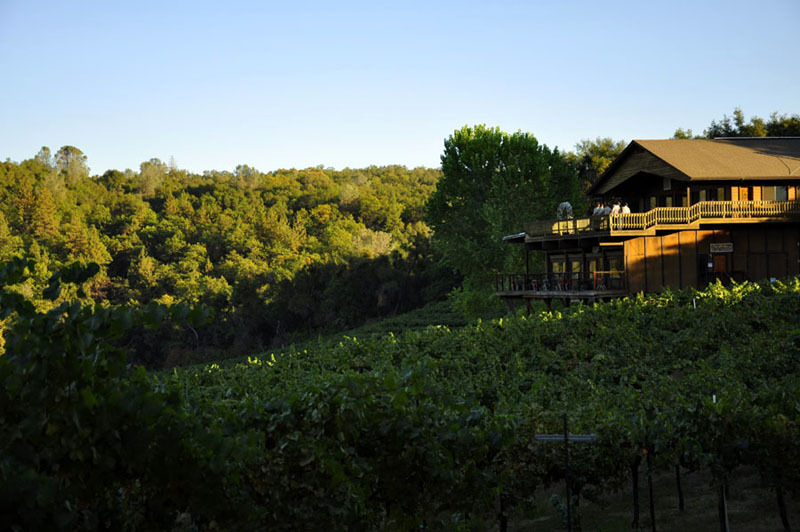 Yes, the South Fork American is a great day trip from the Bay Area and Sacramento, but what if you have extra time and want to fill up the whole weekend? Should you go to Napa instead? Or head to the coast? Not so fast, my pretties. I’m not saying I’d turn either one down– I totally would not, I am aware of the pastries at Bouchon Bakery and the Oysters at Hog Island–but what I am saying is that you can make quite a lovely weekend here in our sleepy Coloma-Lotus Valley. You don’t even have to go to Placerville or Apple Hill. You can stay right here and have a grand ol’ time the day after your river trip. First, wake up at Eden Vale Inn. Which is not actually in the Valley, but . . . it’s like 10 minutes from our office and that’s pretty close. Eden Vale is one of those places that you see the brochure and you think “that looks great. Too great. They must be stock photos so I’m heading to the Best Western where I know exactly what I’m gonna get.” But friends, I have been to Eden Vale and I wanted to stay forever. Like I wanted to move in. It’s as beautiful as you want it to be. If you are a purist and are offended I suggested you leave our fair valley please relax and visit the swanky Bella Vista B and B instead. 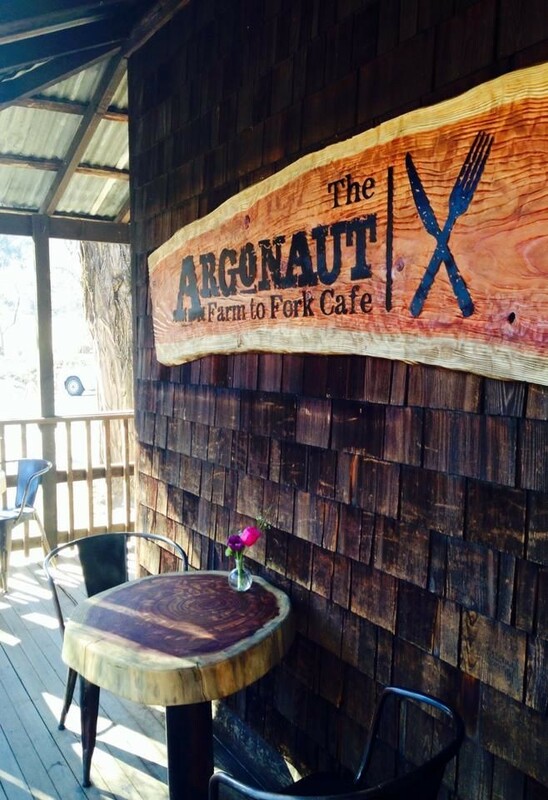 After you tear yourself away from the tranquility that is Eden Vale, head into Coloma and grab coffee or lunch at the Argonaut Cafe in the Gold Discovery Park. Check out the iron work! Ask where it was made and be directed to the out-of-the-history books Blacksmith Shop next door. They use coal and everything. It’s awesome. Clear the coal-dust from your lungs with a restorative hike or stroll (pick your pleasure) on anyone of the American River Conservancy’s wonderful aquisitions. Cronin Ranch, Magnolia Ranch, or Greenwood Creek are lovely walks/hikes in the valley. Just up the hill is one of ARC’s more unusual properties–the Wakamatsu Tea and Silk Colony. This historic ranch was founded by Japanese settlers in the 19th century. It was also a working dairy farm for many years in the 20th century. Today, the property is being restored by the ARC. One of my favorite things about the Wakamatsu project is that it’s not just being turned into a dusty museum–the property’s ranching and farming history is coming back to life by the good people at South Fork Farm. They grow organic produce and flowers and bake bread in a hand-built wood-fired oven. As a frugal bread snob I endorse it 100% despite the $6 price tags on their tasty loaves. After you buy some bread, goat cheese, tomatoes, and olive oil at South Fork Farm (and maybe some fruit at the egg stand up the road . . . it doesn’t have a name really, that I know of, it’s just…..just keep driving past the farm and it’s the next driveway) you’re going to be very hungry and feeling sorry for yourself that you aren’t eating. And drinking. So you’re going to turn around and head back to the valley. But before you get there you’re going to make a little stop. If you’re thinking vino, you’re pulling into David Girard Winery. There, you shall taste and picnic. Or, if you’re feeling beer, you’re blasting right past Girard and pulling into Gold Hill Winery and Brewery. The views there are so lovely it will make everything you’re eating and drinking taste even better. 5) Eat Soup. Really Really Good Soup. Now you’re sleepy and lazy and need to rest before dinner so either go sit by the river in the Gold Discovery Park or relax back at your B&B. Once recovered, throw on a clean shirt and head to Cafe Mahjaic, El Dorado County’s best restaurant (in my opinion, but check out their reviews on Open Table if you feel you would like a broader sampling!). Everything is delicious, but for some reason I am particularly in love with their soup, which is weird, but I’m telling you, it’s always fantastic. And please end your feast with the cheesecake even if you don’t like cheesecake because I don’t like cheesecake but I love this one.